It’s a reasonable choice if about $1,000 is what you want to spend, but it's far from exceptional. Recently we’ve received a lot of large 27-inch all-in-ones for review at Digital Trends, but that doesn’t mean these super-sized computers represent the majority of options. Most all-in-ones have 21-inch or 23-inch displays. Larger models are both too expensive and too big for most buyers. 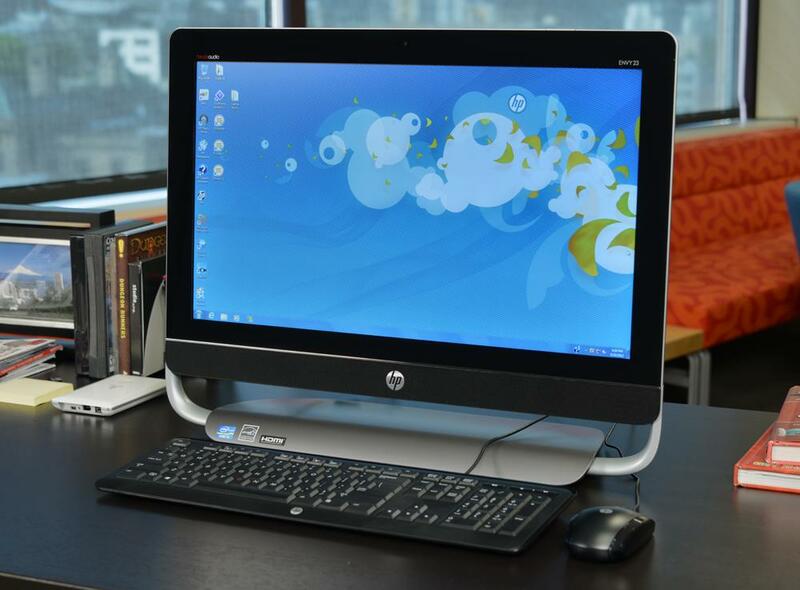 Enter the HP Envy 23, as conventional an all-in-one as we’ve ever tested. 23-inch 1080p display? Check. Intel Core processor? Check. No-touch 1080p display? Check. Price around $1,000, thin design, and built-in sound bar? Check, check, and check! This is an all-in-one, all right. So what is there to Envy? HP has been throwing that brand label around a bit too liberally as of late, but its appearance on a simple all-in-one isn’t unwarranted. Envy products haven’t been unique for some time. They’re simply well executed. Let’s see if this PC has earned its title. Whatever Envy stands for, it certainly does not represent unusual, outrageous, or unique design. 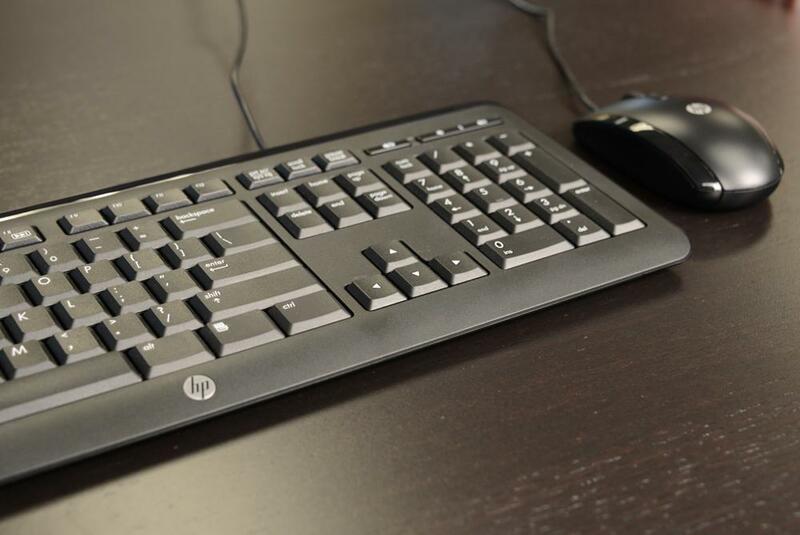 The HP Envy 23 uses the exact same design language that is found on some other TouchSmart, Pavilion, and Omni all-in-one products. The base consists of a large hunk of gunmetal plastic, which is run through by a metal bar that then curves upwards to hold the display. This creates the pivot point, allowing for limited adjustment forward and back. It’s not bad looking, but some new designs from competitors have robbed it of luster. 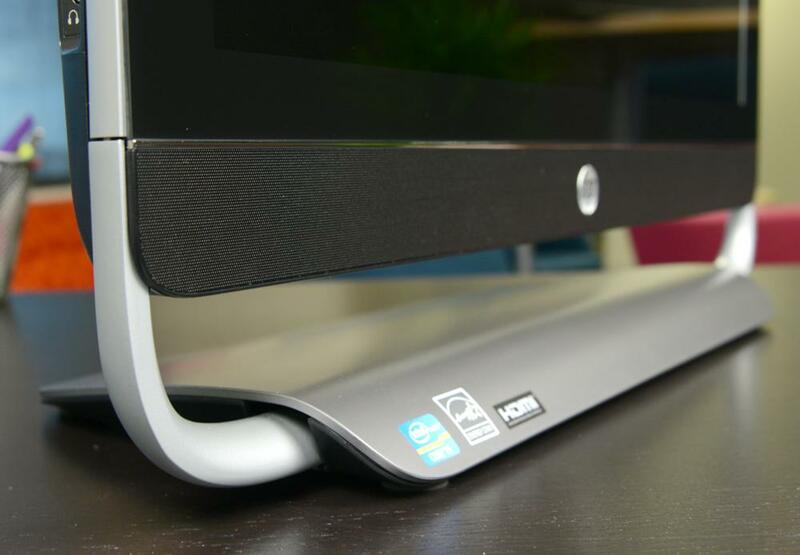 Above the stand is the soundbar, adorned with a chrome HP logo, followed by a mass of glossy material. HP calls this an edge-to-edge display, which is a bit deceptive. The display panel is surrounded by a large bezel. Only the glossy coat placed over it spans the entire computer. Around back there’s not much to mention. The HP Envy 23 is thin and the back panel curves to create the illusion that it’s thinner still. 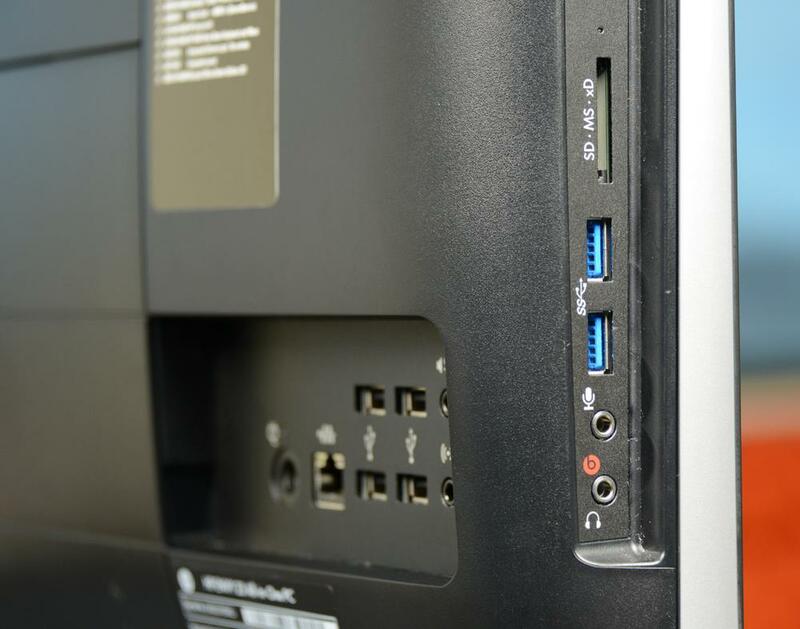 One nice extra is an indent along the top rear edge of the PC that can serve as a handle, making it easier to move. Users will find two USB 3.0 ports along the left flank. They’re joined by headphone and microphone jacks and a card reader. Around back, there are four more USB 2.0 ports and D-Sub. HP lists a TV Tuner and HDMI Input as available options, but they were not on our review unit. Neither was a Wireless-N adapter, something we think should be standard. Our test images revealed a display that is fundamentally sound. It offers good black levels, decent contrast, and shows no banding. The glossy coat is annoying, but the display’s brightness is sufficient for use in a room with moderate ambient light. Even viewing-angle performance is better than average. The advantage of the display was obvious when watching high-definition streaming video. Colors appeared vivid, dark areas were reasonably detailed, and sharpness was as high as the source content would allow. This is a good choice for buyers who watch a lot of online video. The HP Envy 23 has Beats Audio branding but didn’t wow us with its audio capabilities. The integrated speakers are loud at maximum volume and have a nice, clear mid-range sound, but bass can cause distortion in some tracks. We also noticed that parts of the PC’s chassis vibrated during bass reproduction — a terrible distraction. At least the Beats Audio at a more moderate volume is as good as ever before. It includes an equalizer, volume control for different outputs, and features like noise cancellation and echo cancellation. These can make your headphone experience more enjoyable. The Envy 23 arrived with a pair of conventional peripherals. The keyboard included only a few added function keys (for sound control or muting) and the mouse uses an infrared sensor. Both are wired. It’s not unusual for a system to ship with basic peripherals, and we were expecting a bit more from the Envy brand. Wireless would have been nice, at least, as all-in-one computers are all about reducing clutter. Have you registered your HP product yet? HP has always had an aggressive phalanx of pop-ups pestering users about registering the computer, checking on the warranty status, and backing up the hard drive. It’s probably just our imagination that makes it seem more annoying on this computer — but seriously: this stuff is terrible. The HP-branded distractions are joined by Norton Internet Security (adding even more pop-ups), and less distracting programs like HP Magic Canvas and Snapfish. 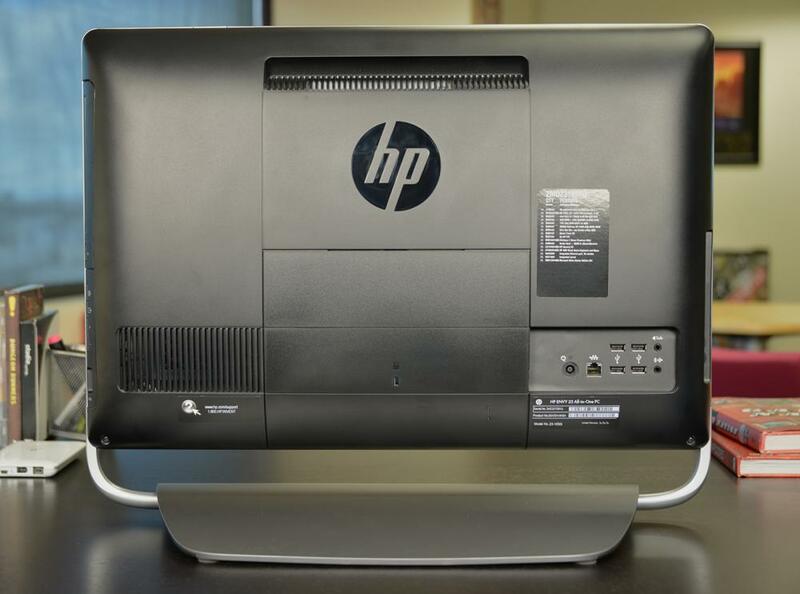 We’re not even sure why HP Magic Canvas is installed; this is not a touchscreen computer. Our review unit came equipped with an Intel Core i5-3450S processor, a reduced wattage version of the Core i5-3450 found in so many desktops and even some gaming PCs. The reduction in power draw has an impact on performance, causing the HP Envy 23 to return a combined score of 59.89 GOPS in SiSoft Sandra’s Processor Arithmetic bench and a score of 13,998 in 7-Zip. That’s not bad, but it’s not great — most desktop computers, including all-in-ones, do better. PCMark 7 spat out a final score of 2,940. This beats the Lenovo A720 but is far behind the Dell XPS One, which reached a score of 4,485. The HP Envy 23 lacks solid-state storage, a shortcoming responsible for the merely average score. However, it posted good numbers in most other portions of the benchmark. Graphics juice is provided by the Nvidia GT 540M. This is an outdated part, and a GPU built for laptops rather than desktops, but it easily trumps Intel’s IGP by providing a 3DMark 06 score of 8,264 and a 3DMark 11 score of 922. Modern games are playable on this rig. Just don’t expect to run them beyond low or medium detail. During our use of the HP Envy 23 we noticed a bump in our office. It was an odd grinding-thumping sound that reminded us of a refrigerator compressor that’s not long for this world, or the sound of a jackhammer being used five blocks down the street. Eventually we figured out that this noise was coming from the HP Envy 23’s hard drive. All mechanical hard drives make noise, of course, but some are louder than others. Worse, the drive’s hard work was amplified by the construction of the chassis. The plastics used to build the PC don’t stay still. They vibrate, hum and annoy. That seems to be the same issue hampering sound quality. The PC was otherwise quiet. Fan noise was noticeable but low even at load. One might think this would result in high temperatures, but we felt no evidence of that. The computer never put off significant heat. It seems that our conclusion agrees with our hypothesis. We were skeptical that the HP Envy 23 could bring real luxury or unique features to a $949 price point. And it doesn’t. This is an all-in-one, and it does what comparable all-in-ones do. That means value is an important metric — which is where this PC really starts to stumble. $1,049 isn’t outrageous, but it’s not exactly a bargain. Lenovo’s B-Series appears to offer similar hardware for slightly less and Lenovo will soon offer the substantially more stylish A520, a smaller version of the A720 we previously reviewed, for $999. Then there’s the Dell Inspiron One, which can be had with a substantially better graphics, more storage, and otherwise similar hardware for $200 more. Don’t mistake us. We’re not saying the HP Envy 23 is bad. It’s merely competitive. On par. Alright. It’s a reasonable choice if about $1,000 is what you want to spend, but it’s far from exceptional. Make sure you survey the market before taking the plunge.